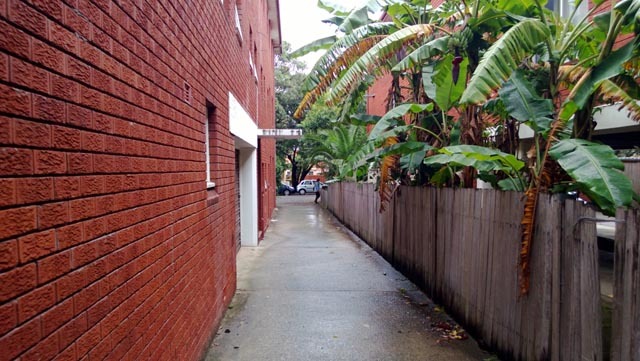 review The Nokia Lumia 920 is the Finnish manufacturer’s first stab at a smartphone running Microsoft’s new Windows Phone 8 operating system, it’s sporting a very high-end camera and it supports Australia’s growing clutch of 4G mobile networks to boot. But can this big, bold and beautiful challenger take on the current reigning champions of the smartphone world? Read on to find out. 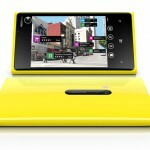 Note: Sections of this article are largely identical to our previous preview of the Lumia 920. If you’ve read that article and are only interested in how the unit performs in the wild, we recommend you skip the ‘Design’ and ‘Features’ sections and skip to ‘Performance’. If you thought Nokia’s previous Lumia line could best be described as ‘fluoro’, you would have been right. In a smartphone market dominated by muted grey and matte black tones, the Lumia brand has come to mean vibrancy and colour. 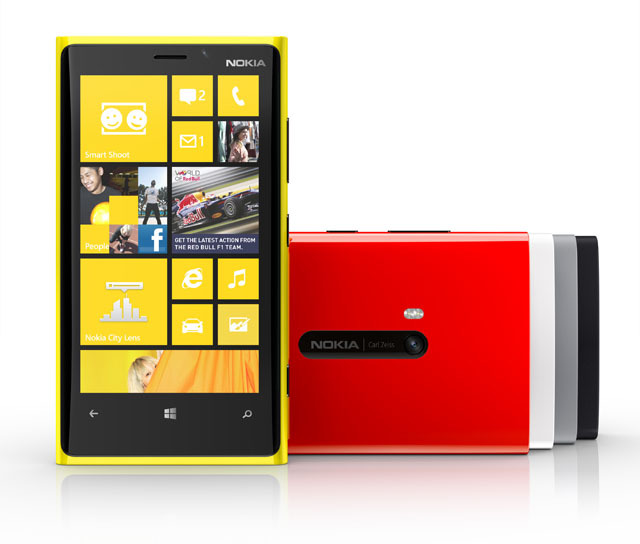 With the 920 and its sister phone, the 820, Nokia has turned this factor up to maximum, with the Lumia 920 being available in a variety of eye-watering colours ranging from yellow to red, white, grey and matte black. We can’t say we’re the biggest fans of the bright yellow and red models – they’re a little too vibrant for our tastes – but we’re sure some people will welcome them. We reviewed the black model, which we found tastefully neutral. In addition, it’s not just the polycarbonate shell of the Lumia 920 that has been affected by Nokia’s colour focus. By default, the icons on Windows Phone 8’s home screen will use the same colour scheme as the phone’s physical exterior. This is a striking design choice, and we’re sure the 920 will get a lot of attention when you pull it out in a crowded space. Apart from the radical colour overhaul, the Lumia 920 features many of the same design features as Nokia’s previous Lumia 900 models. It’s got the same volume rocker, on/off switch and camera button on the right-hand side, the same large touchscreen with Windows Phone buttons beneath it on its front, and the same lovely colourful polycarbonate shell covering its back. The unit’s microUSB connection for synching and charging is on its bottom (oddly, the actual cable and power connector are Apple-white), and its 3.5mm headphone jack is on top. The camera is conspicuously located on the back as well. To our mind, it’s great that Nokia has kept this design consistency between its top Windows Phone 7 and Windows Phone 8 models. Frankly, the Lumia 900 and other models in that generation of Lumia smartphones were some of the most lovely smartphones of any type which we’ve seen – both to look at and in the hand – and really do advance smartphone design and build quality into the stratosphere. Don’t get us wrong – we really like what Apple, HTC and Samsung are doing as well at the moment, but Nokia’s Lumia line is just simply stunning, and 920 mostly continues this trend. However, while we liked most aspects of the 920’s design, there is one glaring issue with it: Its sheer size and weight. The Lumia 920 isn’t dramatically larger per se than other top-end smartphones on sale at the moment, apart from the iPhone 5, which has a much smaller screen size. It’s 13cm tall, 7.08cm wide and 1.07cm thick (although it is a little thicker). However, it does weigh substantially more than almost any other top-end model on the market, coming in at a collossal 185g. For comparison, the 920’s most direct competitor in the Windows Phone 8 market, the HTC Windows Phone 8X, weighs only 130g. The Android-based Samsung Galaxy S III comes in a little more, at 133g, while the HTC One XL is only 129g. The Nexus 4 weighs only 139g, while the closest a model we’ve reviewed recently comes to the 920 is Motorola’s RAZR HD, which weighs in at 146g. In actual fact, the only recent smartphone model directly comparable to the Lumia 920 is Samsung’s giant phablet, the Galaxy Note II, which almost exactly the same at 183g. And that’s with a much larger screen and a stylus included. The iPhone 5 is among the lightest in the pack at 112g. Yes, the Lumia 920 is heavy and a little fat. Although its build quality is fantastic and it’s nice to hold in the hand, along the lines of all of Nokia’s recent line-up, this is one smartphone which you can’t simply slip into your pocket and forget about. It’s not light and it’s not slim. We still really like its overall design, despite this factor, but it’s something to keep in mind. If there is a feature which the Lumia 920 lacks, we can’t find it. This model is absolutely packed to the gills with virtually everything you’d want from a smartphone. This is truly the definition of “high end”. 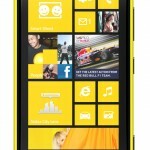 The Lumia 920’s touchscreen is a 4.5” model running at Windows Phone 8’s new top resolution – 1280×768. This is a touch smaller than the 4.7” and 4.8” models which Samsung and HTC are currently headlining their roster with, but we like the 4.5” size. It’s bigger than Apple’s top-end 4” model, the iPhone 5, but it’s not big enough to be too large for those with small to medium-sized hands, as the 4.7” and 4.8” models can be occasionally. The resolution upsize is a huge welcome to those who have previously been feeling cramped by Windows Phone 7’s poor 800×480 resolution. This works out at 332 pixels per inch, which is very decent. The 920’s beating heart is a Qualcomm Snapdragon S4 model running at 1.5GHz, which is more than enough to fuel the smartphone’s functions, and it comes with 32GB of storage space, but has no microSD card capability. 1GB of RAM comes on-board. The rear camera is a 8.7 megapixel model which can shoot video at 1080p, and also incorporates Nokia’s ‘PureView’ technology, which the manufacturer says boosts its cameras above others on the market, especially when it comes to image stabilisation, and boasts Carl Zeiss lens. The front camera is a 1.2 megapixel model which can shoot video at 720p. One of the biggest features which the 920 includes is its support for 4G speeds. Both Optus and Telstra use the 1800MHz frequency for their 4G networks, and the 920 supports that frequency, although it’s launching initially only through Telstra. Theoretical download speeds range up to 100Mbps and upload of 50Mbps, but in practice you probably won’t be able to download faster than between 30Mbps and 40Mbps when you’re in a Telstra 4G zone. Optus’ 4G network is typically a little slower but can peak at up to 60Mbps. And of course when you’re outside these areas, the Lumia 920 supports the other HSPA family of mobile standards which is the next best possible. NFC for mobile payments (in theory) is here, as is Bluetooth, and the battery is a 2000mAh model which Nokia says is good for 400 hours of standby, or maximum video playback time of 6 hours, music playback of 67 hours or 3G talk time of 10 hours. One other notable feature is the Lumia 920’s ability to charge its processor through so-called ‘inductive’ charging – which requires the unit to be placed on a charging pad, rather than attached to a charging cord. A number of US cafe chains and airlines have announced plans to deploy charging stations in their facilities, but we doubt you’ll see much of this in Australia until it becomes more of an industry-wide standard. In addition, as with previous Lumia handsets, Nokia has included its own specialised applications with the Lumia 920 – for example, its excellent mapping application, as well as its Music Store, and so on. These applications do add some value and help differentiate the company’s handsets from other Windows Phone rivals. 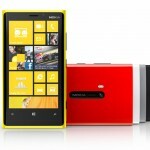 The other major new feature which the Lumia 920 introduces – and one of its key selling points – will be Windows Phone 8. Microsoft’s new mobile operating system features a slew of new and long-awaited features, ranging from multi-core CPU support, to a resolution bump (1280×768 or 1280×720), the ability to support microSD cards, NFC chip support, Internet Explorer 10, a Wallet feature for storing debit/credit cards, coupons and boarding passes and better maps and directions (through integration of Nokia’s maps feature). Most of these features were already available through Apple’s iOS and Google’s Android platforms, and Windows Phone users have been waiting them for a long time for the Microsoft platform. We’re very glad to see them arrive. Let’s just cut to the chase here. There is very little not to like about the Lumia 920’s performance. This is truly a model which performs strongly in almost every area. For starters, the 920’s camera is superb. You’re going to struggle to find a better model on a mainstream smartphone. Actually, you just flat out probably won’t. The model we tested consistently took blur-free photos that looked good under magnification, as Nokia promises. This quality won’t be news to long-term Nokia fans, but it does boost the Lumia 920’s attractiveness as a purchase in 2013 compared with rival brands. 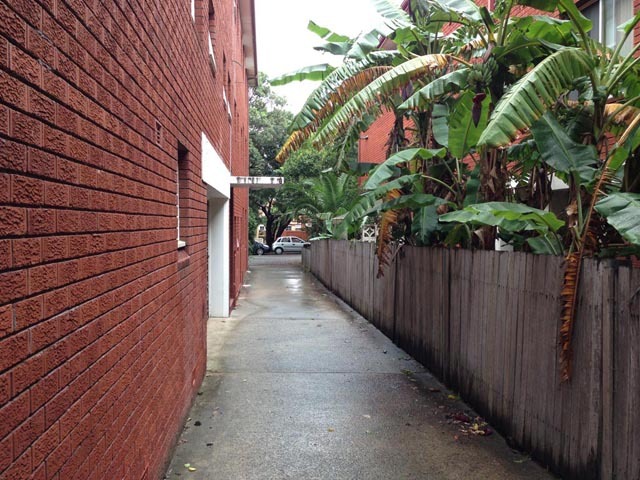 At the moment, out of all the smartphones we’ve tested recently, we prefer the cameras on the Lumia 920 and the iPhone 5. The Asian manufacturers (HTC, Samsung, LG etc) are just a little behind, in our opinion. You can’t see its quality fully through the comparison shots below, but they give you an idea. These were all taken on the same day at the same time, and then resized and saved as mid-range quality JPGs in Photoshop, as we do with all our shots. Note especially the rich colours you get with the 920. Click for a closer view. The screen of the Lumia 920 is also awesome. Nokia describes it as having ‘PureMotion HD+’ technology, and it is certainly lovely and crisp, with great colours and very black blacks which mean that you can sometimes not be sure where the edge of its screen is, with it blending into the black plastic siding. This is a very good thing, especially considering the vibrancy of the Windows Phone operating system. It’s great watching YouTube videos etc on the 920, and the speakers are acceptable, if not the best we’ve heard. Battery life is decent but not wonderful, as you’d expect from a 4G model with a large screen and a powerful camera. You’ll most likely get through a full day of charge but not much beyond, especially if you’re pulling down data or playing games etc. Unfortunately we didn’t get to test the wireless charging feature, as our review unit didn’t come with one of those docking stations. We’ve played with one before at a Nokia press event, and it seemed like a cool feature but not an essential one. Most everything else functioned as expected; the 920’s processing power makes it snappy to use, as is pulling down data. Pretty much the only two complaints we have about the Lumia 920’s performance are with respect to its weight and thickness, which some people won’t like, and the ongoing issues with the Windows Phone third-party app ecosystem. We downloaded quite a few of our favourite apps on the 920, and while most of them were there and quickly downloadable, they can often appear rudimentary compared to the iOS and sometimes the Android versions. Apps like Amazon Kindle and WordPress do appear in the Windows Phone ecosystem, but using them feels like using a version that’s a few years old. They do what they need to do, but they’re not that refined yet. If you’re into Microsoft’s Windows Phone operating system, the Lumia 920 is one of the two top models out there; running neck and neck with HTC’s excellent Windows Phone 8X model. The difference between the pair is that the Lumia 920 is heavier and thicker but with a better camera and the wireless charging option, plus a slightly larger screen and perhaps an edge in build quality, while the Windows Phone 8X is lighter and thinner with a camera that, while still good, isn’t quite as nice as the one on the Lumia 920. Plus … to be honest the HTC model has a few more palatable colour options, still fluoro though. We know. We’re shallow. For our money, we’d go for the Windows Phone 8X over the Lumia 920. The 920’s camera isn’t that much better than the one on the Windows Phone 8X, and 50g in weight difference is actually a lot when you’re going to be carting around a new smartphone for at least a year. But you may like the Lumia 920 more, especially if you like the Lumia line in general, which HTC is clearly trying to imitate with its own Windows Phone models. However, if you don’t care about which operating system you use, we’d have to recommend another model over the Lumia 920. Apple’s iPhone 5, Samsung’s 4G Galaxy S III and HTC’s One XL have arguably similar specifications (apart from the smaller screen on the iPhone) to the 920, and all have better third-party app ecosystems and underlying operating systems. Even Motorola’s RAZR HD will give the Lumia 920 a run for its money. The Lumia 920 is one of the best Windows Phones out there, and we recommend it as an option, but it needs to lose a little weight and size to truly take it to the Android and iOS bad boys. Other reviews of the Lumia 920 which we liked: The Verge, Engadget, PCWorld Australia, CNET Australia. Did you guys turn off NFC? I’ve found the battery life is okay on the 920 if you turn NFC off. As for the size and weight, I actually really like it, personally. I just moved from an old HTC Desire which is actually slightly thicker than the 920 if you can believe it. I’m a little tired of reviewers using size and weight as a completely objective metric that means the same thing for every person (“phone X is 20 grams lighter than phone Y, therefore phone X is clearly a winner in the weight department”). I get that a lot of people want small, paper-thin phones but surely that can’t be true for everyone. Am I really the only person who *wants* a bit of size and weight in a device? I’ve had my 920 for a week or so now and I’ve had no issues with using it, fitting it in pockets, etc. I also find it interesting that when I read reviews of the 920 that each aspect of the review tends to put the 920 ahead of the pack. Yet the overall recommendation is that the apple or samsung is better. So far the only really legitimate complaint I have seen is about the battery life not being as good as the competition. The weight is a matter of choice. I know a few people who have bought the galaxy note simply because they wanted a bit more heft to their phone. Given how successful the note is, it looks like the idea that ‘small is everything’ isn’t true in the eyes of the consumer – I really don’t think that the size of the 920 can be considered an automatic negative. The apps store is a different matter again; currently there are more apps for the ios and android phones. However, there is more to that equation. How well does WinMP8 tie in with the rest of the microsoft ecosystem? The number of Apps are just one metric. What about drag and drop files, multiple user accounts, compatibility with office/exchange/whatever? How much can you configure it before you find the need to root? In real usage, people have their phones as part of their ecosystem either at home or at work (or both!) so how about we look at this when doing these reviews? I think the apps argument (win8 has less) is getting a tad old, there are thousands of apple / android apps that probably never even get used). I can’t think of an app i really miss off my old iphone.. I laugh at the size / weight comments on every review i see .. It feels solid (sporting the red one here!) … but weight wise , every other person with a different smartphone i see has a cover that adds weight… I don’t need a cover on my Lumia. Best email client on a phone, have my work and non work emails tiled on the screen , helps me manage my email alot better – sometimes it’s just quicker to read email on my phone rather than checking my laptop at work lol. I tried using my wife’s iphone the other day – it’s when you go back to an iphone that you realise how far infront the win8 phone is. Don’t miss any apps off the iphone thats for sure , only thing i really missed when swapping from an iphone to lumia was my old sms’s .. I got the bonus jpl playup speaker … use it around home , walk past – tap the phone to it and my music starts playing off it – love it. No regrets with getting the Lumia , loving win8 phone as well . oh yeh… call quality is excellent btw! Bought the Lumia 920 last month and really like it so far. The Drive Beta app is quite good, along with the other Nokia stuff, and most others that I need (NY Times, FB, Weather, etc.) it’s all there for free. 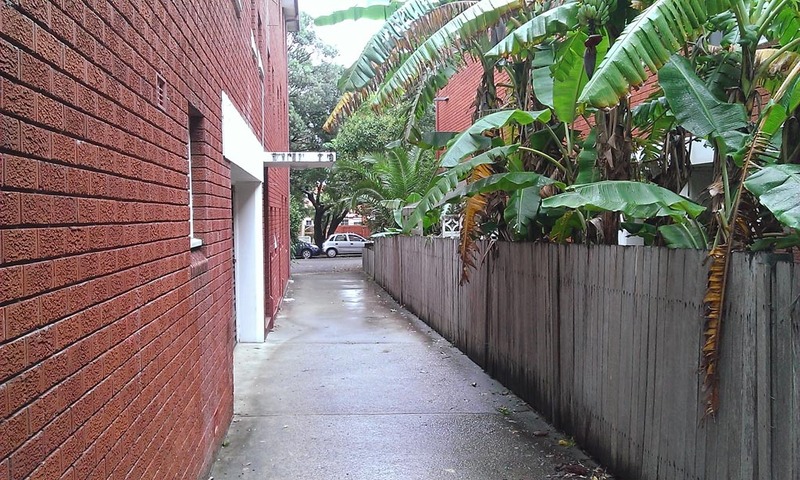 The size of it – definitely in the eys of the beholder. Personally, I need a larger screen that I can read without glasses. The weight – come on, girls. I guess it could be less but I just don’t see that as a priority. It does lack a notification center, if I’m the boss of Nokia, I worry about that first. I concur with most of above. The whole weight argument is bunkus. It’s also the reason we have phone with such crappy battery life and Apple is purely to blame. They are the dolts who stared using weight and thickness as a marketing ploy and it’s why it’s difficult to find a phone which will go 12 hours between charges. I’m glad Nokia have left some bulk in their phone and are running a 2000mAh battery. The apps argument is bull&*$% too. When you have the full WWW at your disposal, you simply don’t need apps. And as has been said, 99% of apps are total rubbish and will never be used by 99.999999999% of smartphone owners so the whole “my store has 1,000,000 apps to your 950,000” argument is moot. How many are actually useful and how many can be easily replaced by a website? I know I rarely use apps on my Velocity but am regularly on the WWW. I’m on an HTC Velocity at the moment and will be ready to upgrade ~June. The 920 is at the top of my list (if the 940 isn’t ready by then/around then). I love Win 8 on my PC and have had a play with a 920 and it is the bomb. I was a Nokia fanboi for years but switched to Android when Symbian fell way behind the curve. I still miss the quality of Nokia. This review is really great, although what we should be reviewing is the usability of the ecosystem. For example; outlook email just leaves android so far behind and iPhone still lagging as well. Having multiple work and email accounts as live tiles makes productivity so easy, sure Android has live widgets but they run so poorly and iPhone you have to click in the mail, click in the right account and then search for your folder. next, neither android nor iPhone has the full history of your contact with someone in contacts. When you find a contact swipe once for social and photos and then again for history including text, calls, email and social. None of the others have this built in, you have to get s third party app. Navigation on the Nokia is such a great experience, those that use jt already know it is ahead of the others and free. I could keep going with about 5 or six other little/big things that make Win phone a pleasure to use but have work to do. One final thing though, my wife has gs3 and I had iPhone 4s and I now have ONLY the mid range Lumia 820. It is a better smoother, faster and intuitive experience. Sure it needs a couple of things, notification center is one but this 820 is the nicest phone I have ever owned. In fact I will get an iPhone 5 on my new contract, sell it for 850 and buy the 920 for 650. IPhone has and andriod had everyone hooked, try taking a photo just on dark with either, my mid range” 820 leaves them both for dead. review the real stuff please guys! !